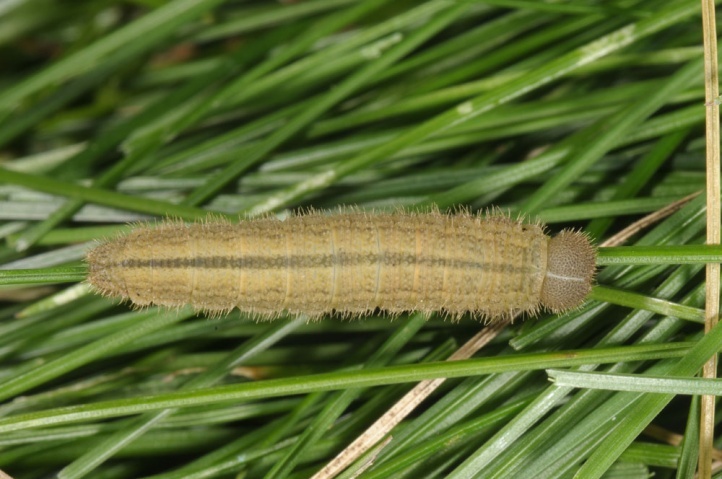 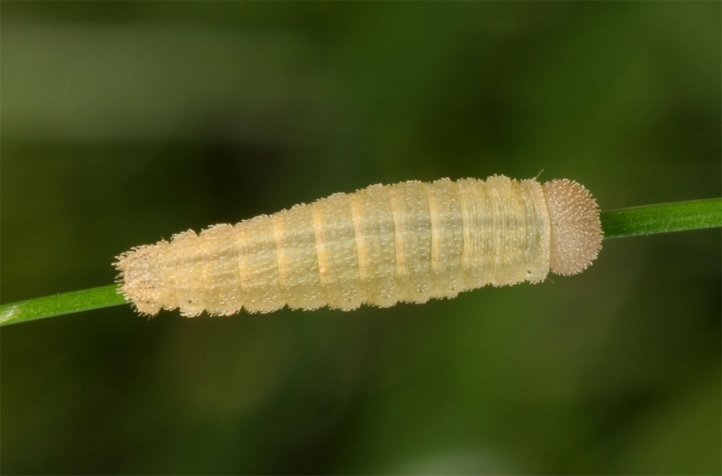 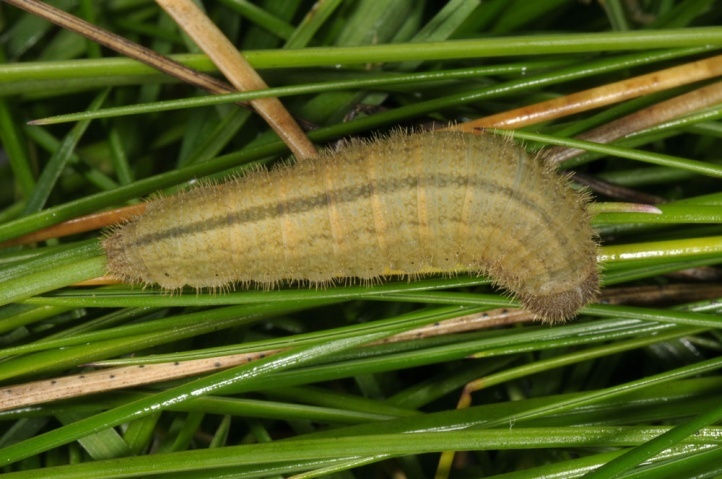 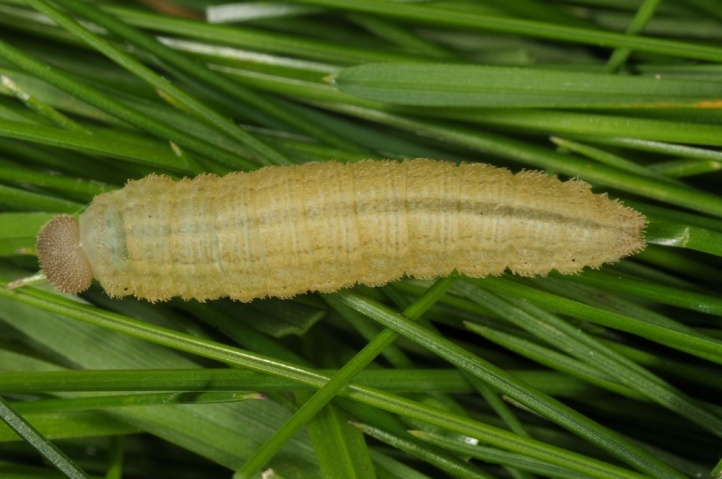 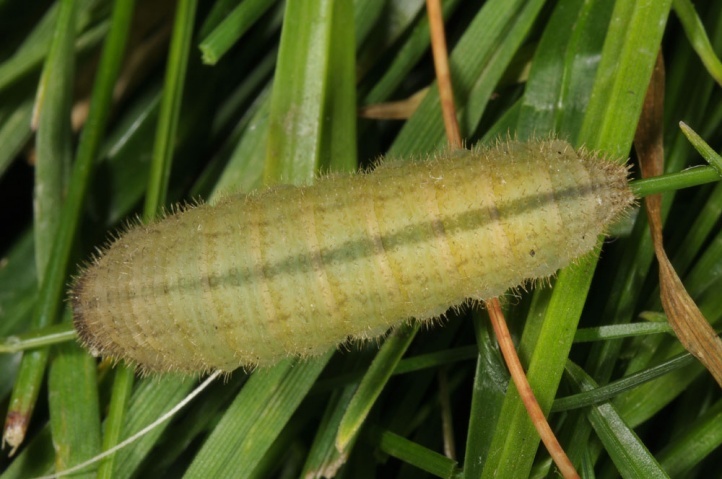 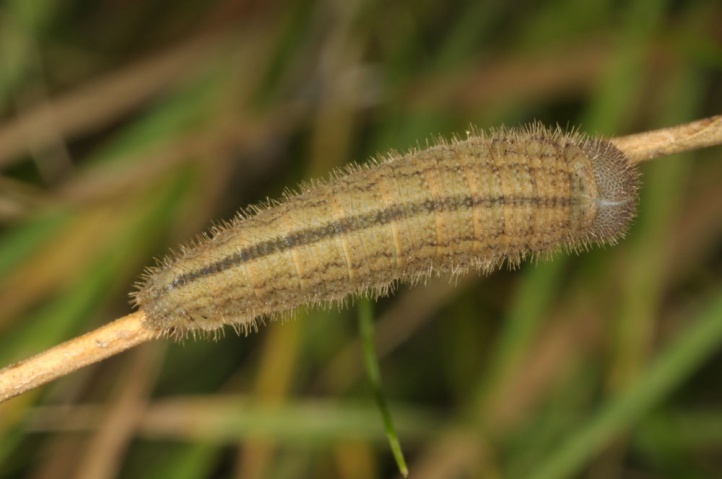 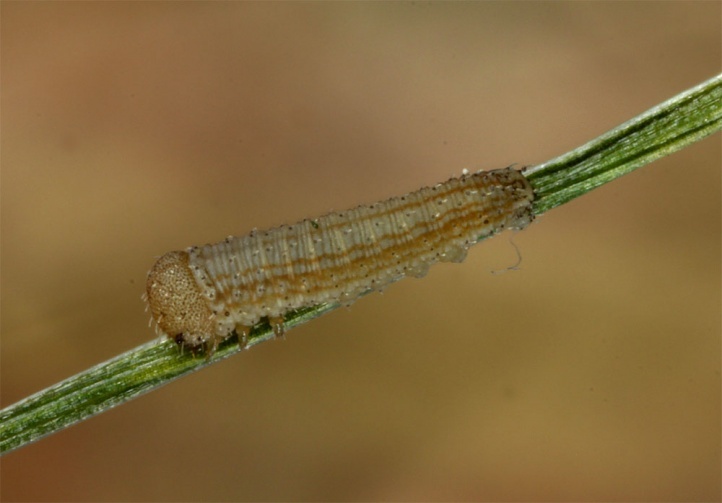 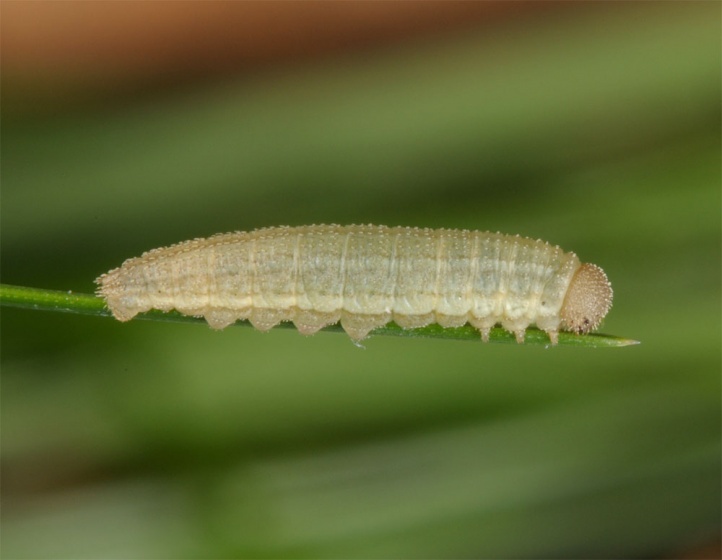 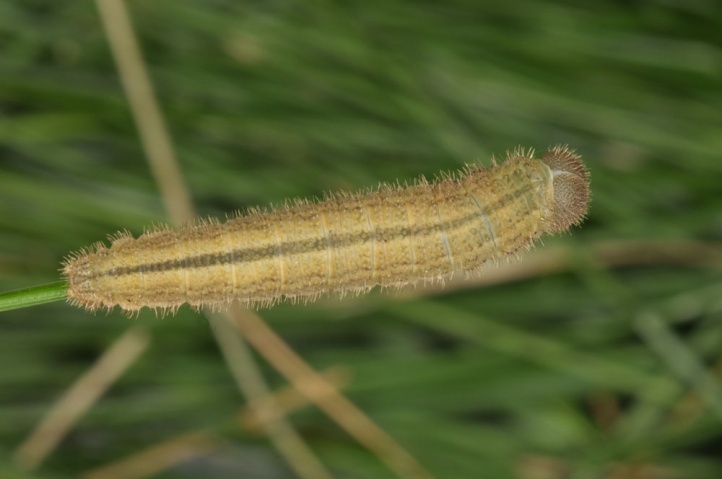 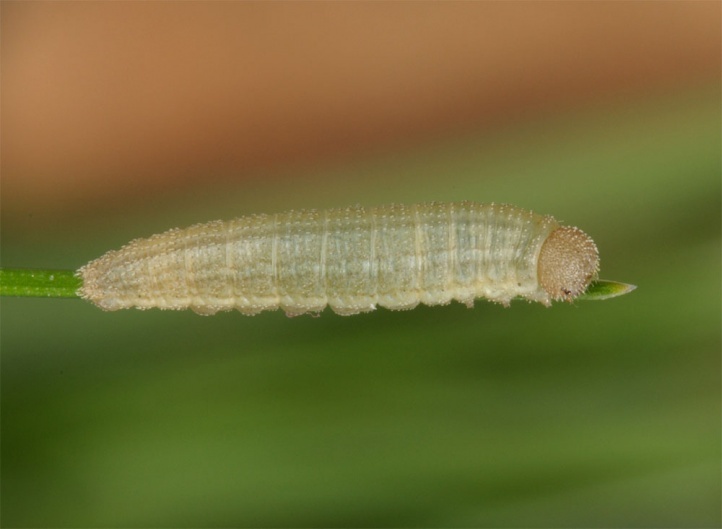 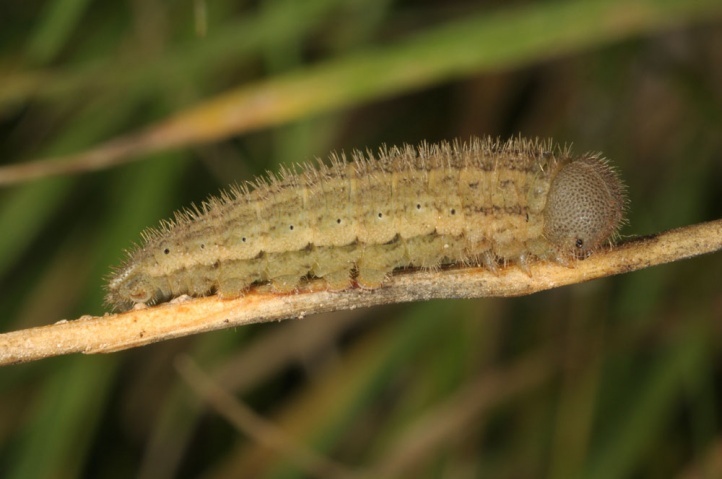 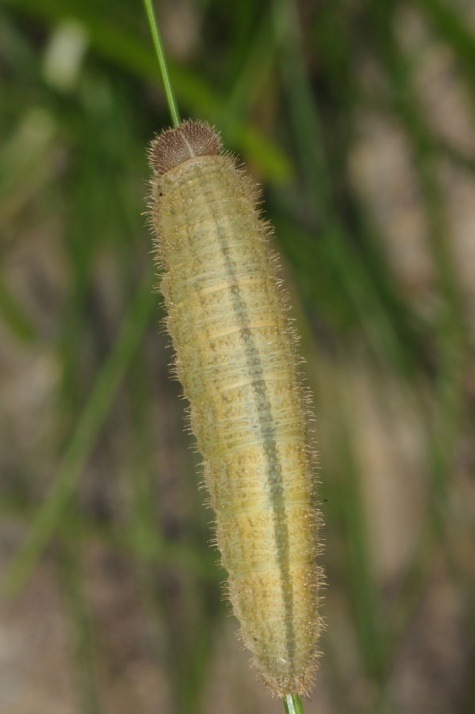 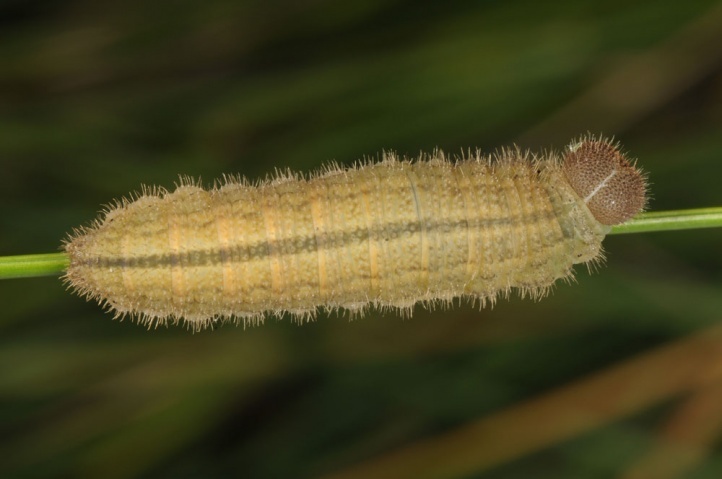 The caterpillars live on grasses (mainly Festuca species and Helictotrichon sedenense.). 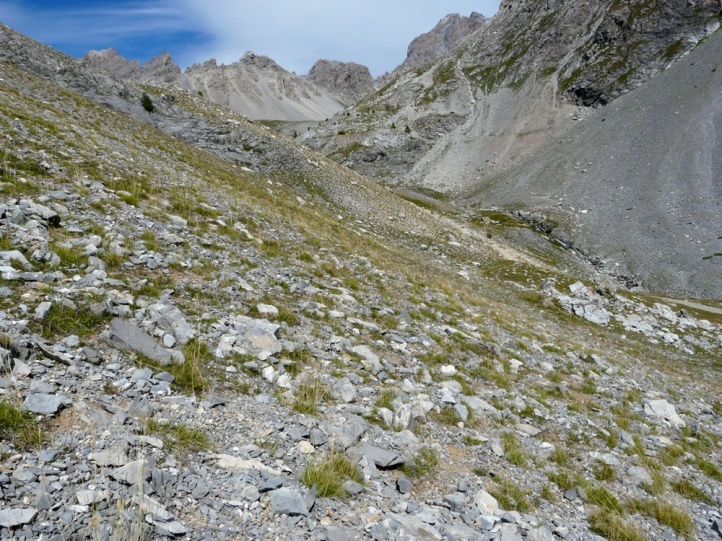 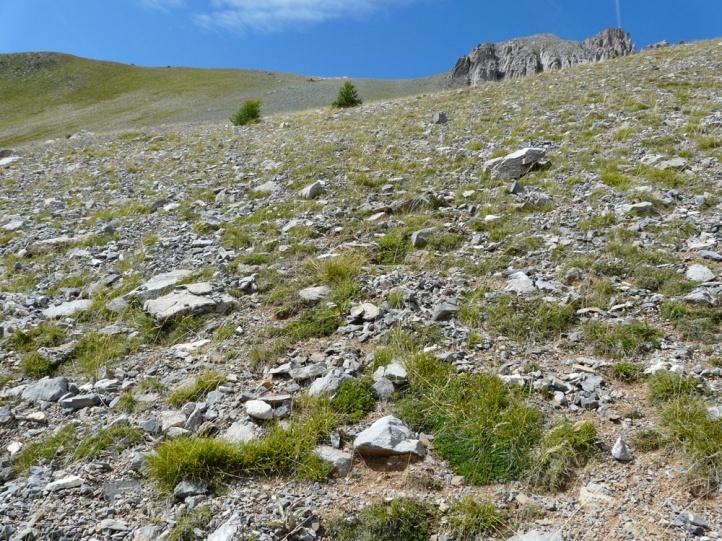 Erebia scipio is a specialist of screes and very stony slopes in limestone areas of the Southwestern Alps between 1200 and 2600m above sea level. 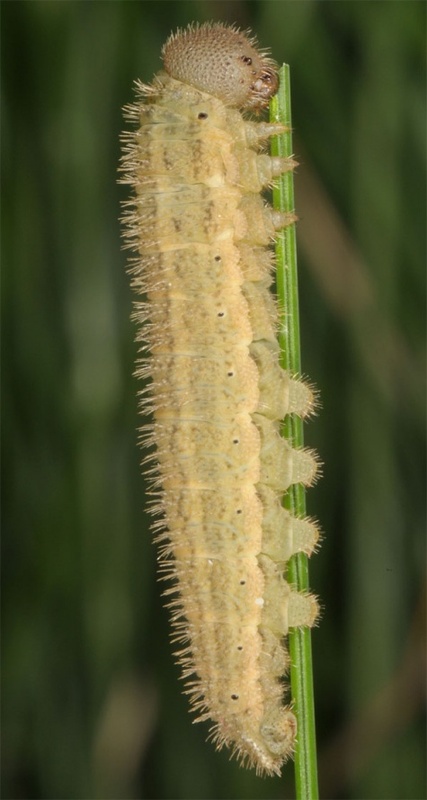 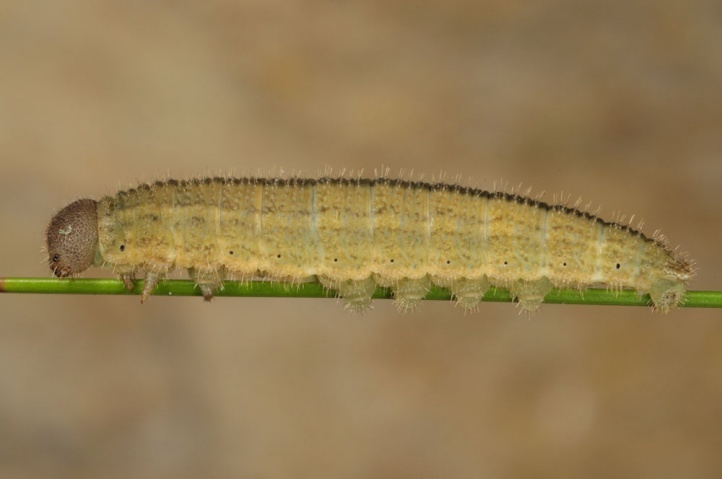 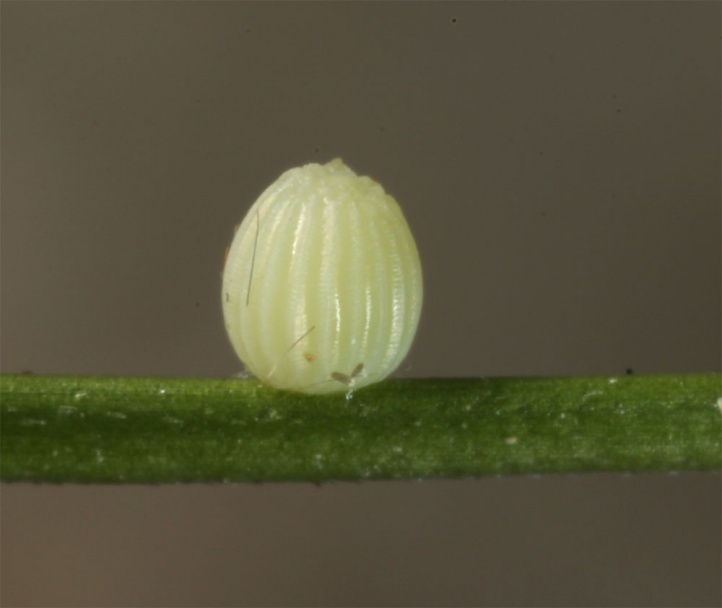 The development is at least in the higher altitudes biennial (two-time hibernating caterpillars, once very young, often as L1, a second time usually in penultimate instar). 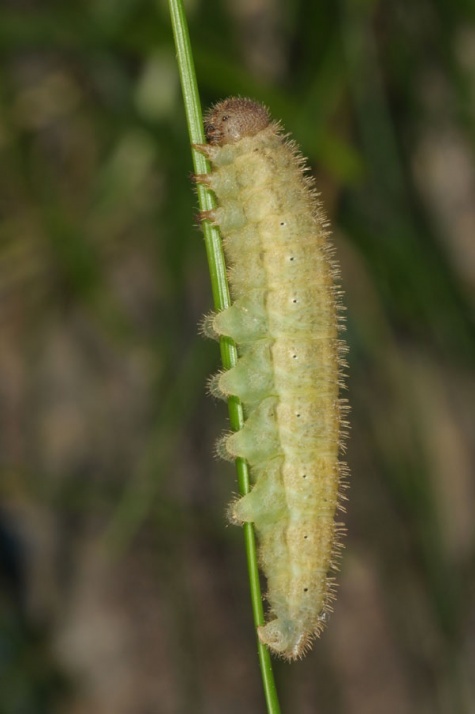 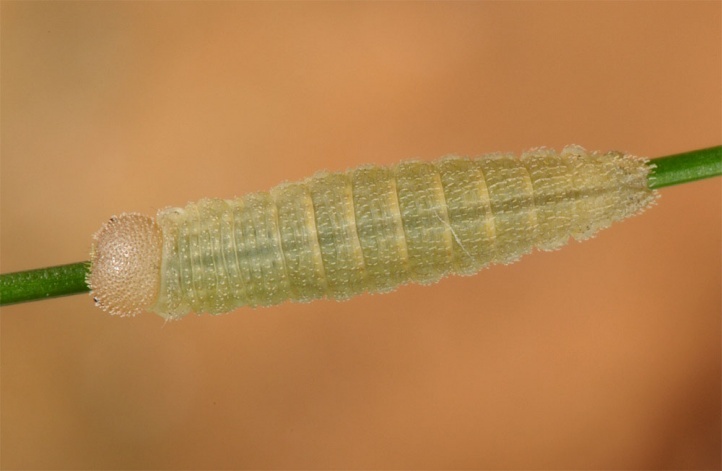 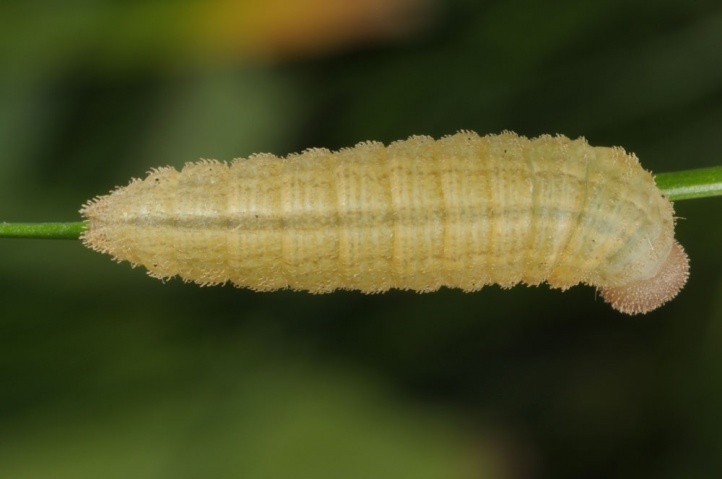 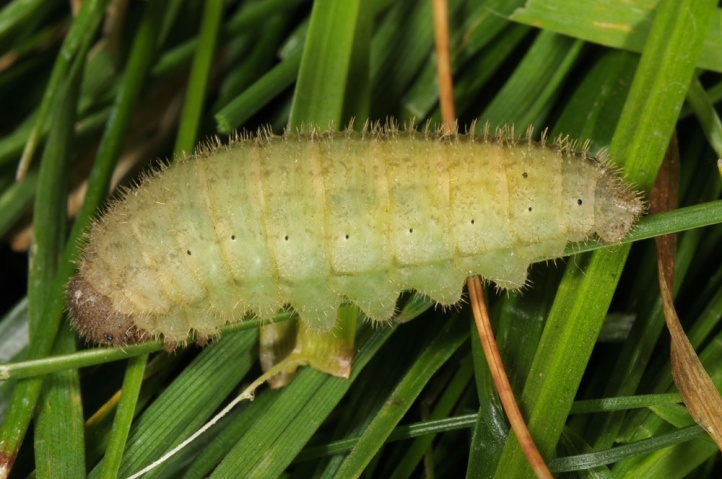 At lower altitudes, however, is also likely to occur only a single overwintering as young caterpillar. 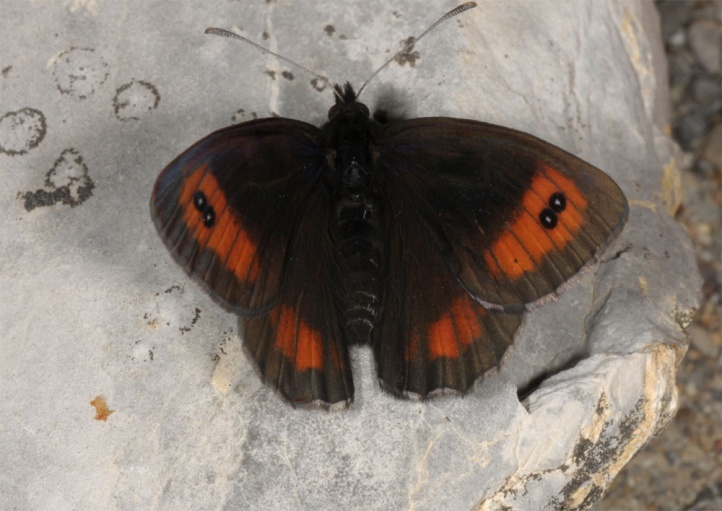 The adults often fly at high altitudes simultaneously or even earlier than at lower altitudes. 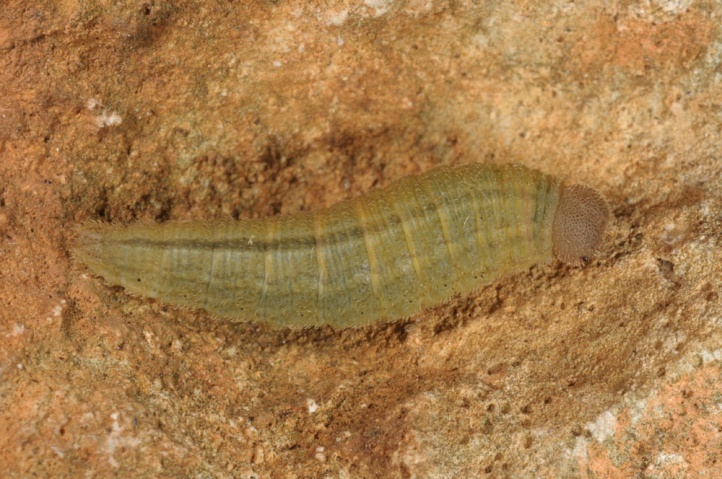 Similar conditions also occur in Erebia montana and Erebia styx. 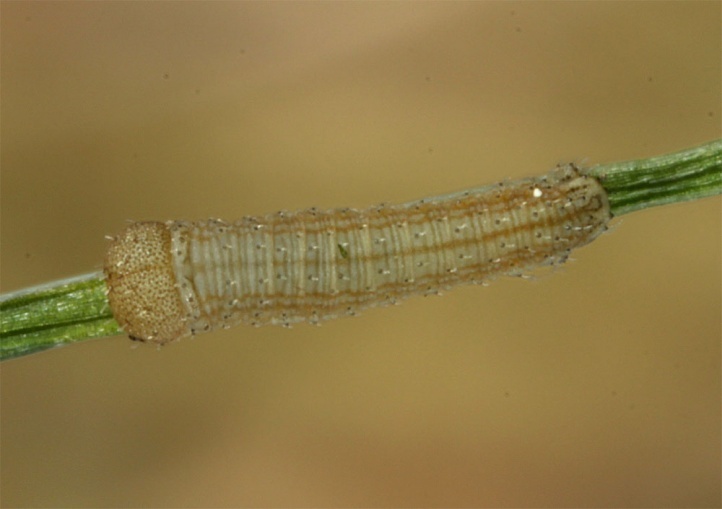 The adults occur from late June to August. 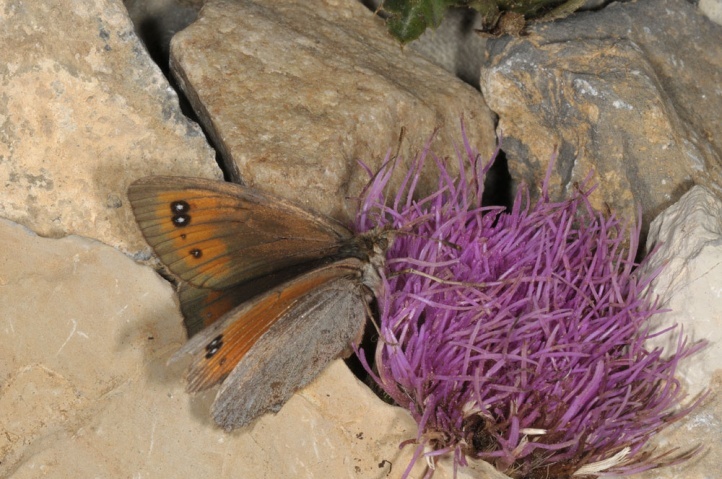 An important nectar source is apparently Cirsium acaule. 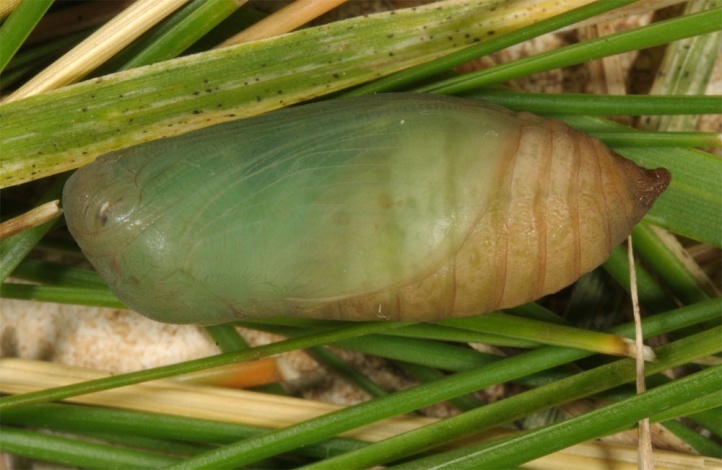 Oviposition takes place close to the ground on stones and occasionally also on grass. 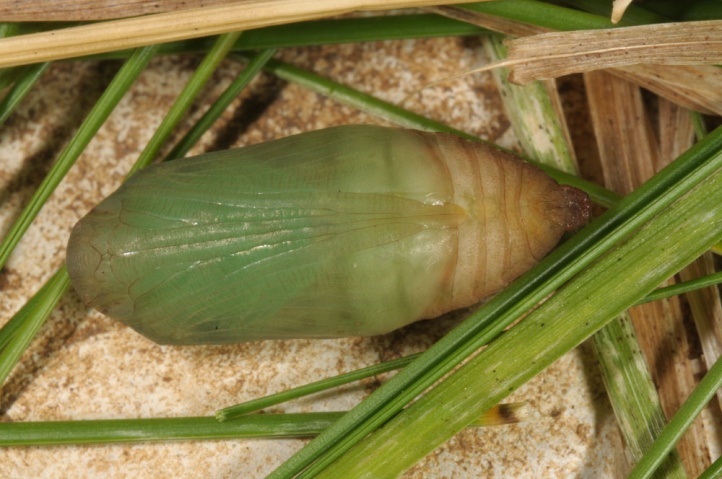 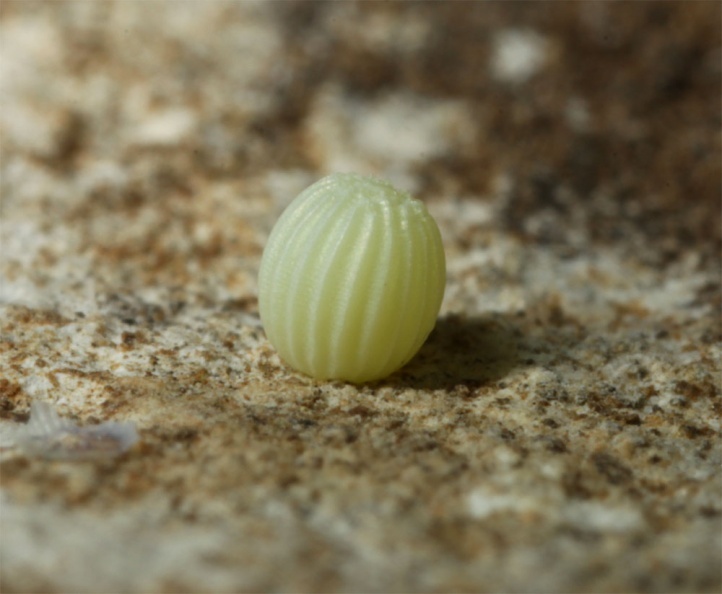 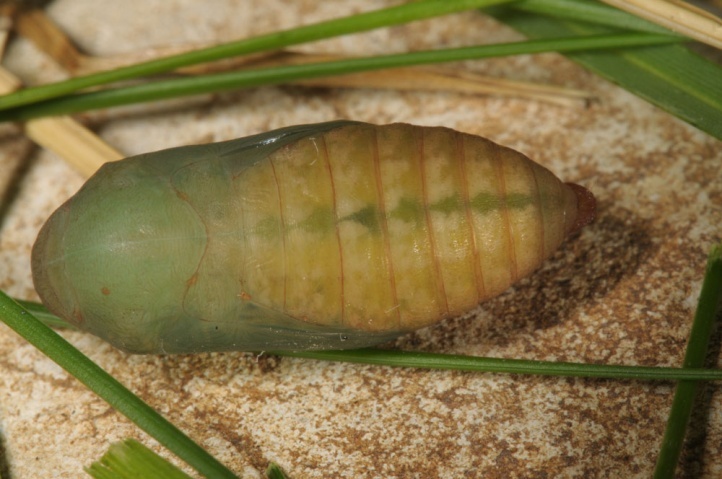 Pupation takes place in grass tussocks or under stones in the protection of a loosely spun shelter, as it is typical of many Erebia. 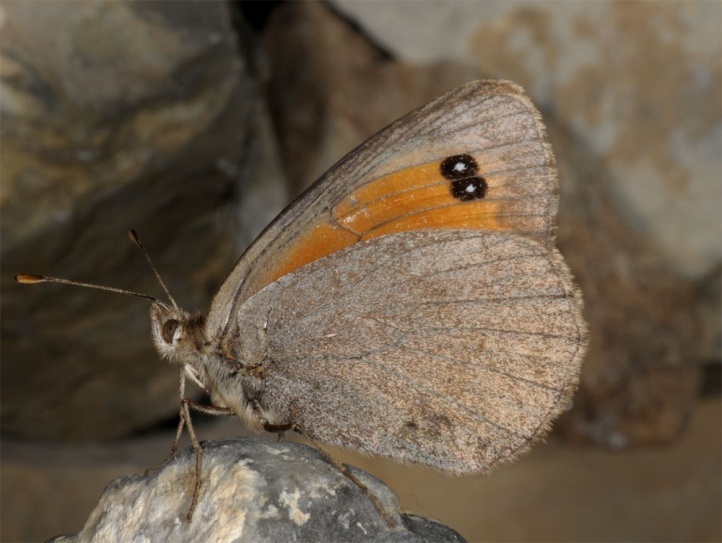 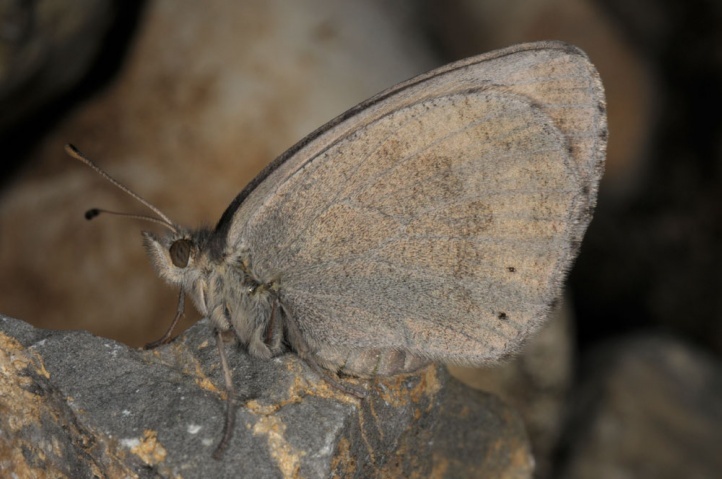 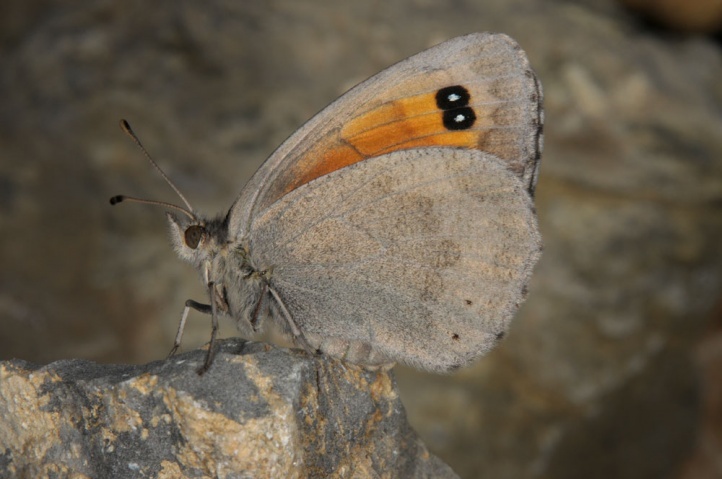 Erebia scipio is locally endangered in the lower altitudes due to human activities and climate change, but certainly much less in the higher ones. 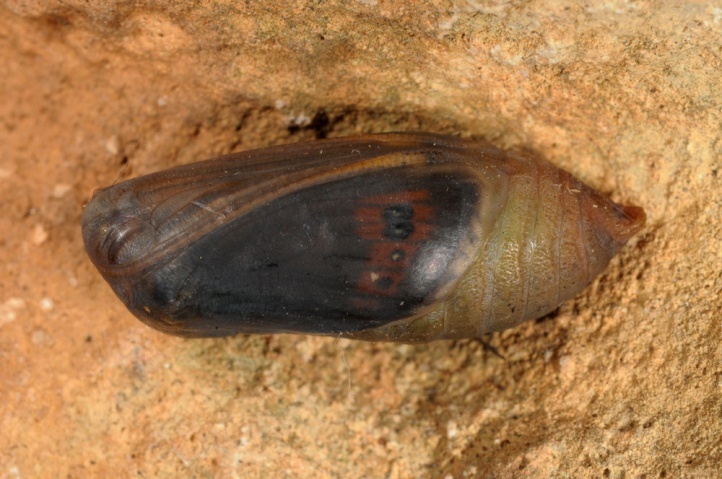 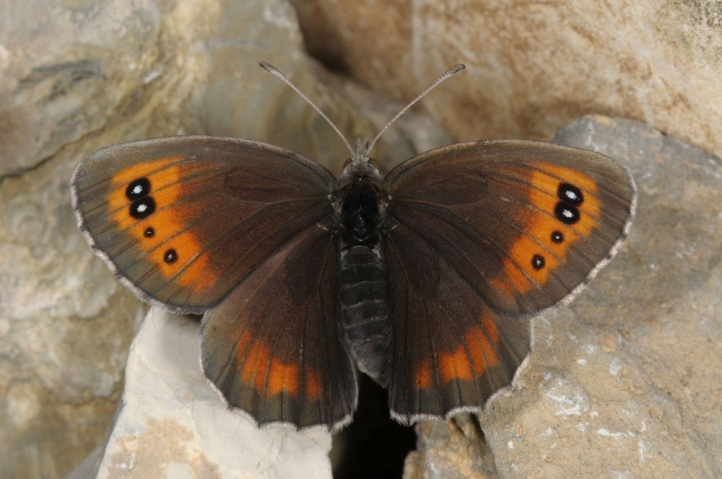 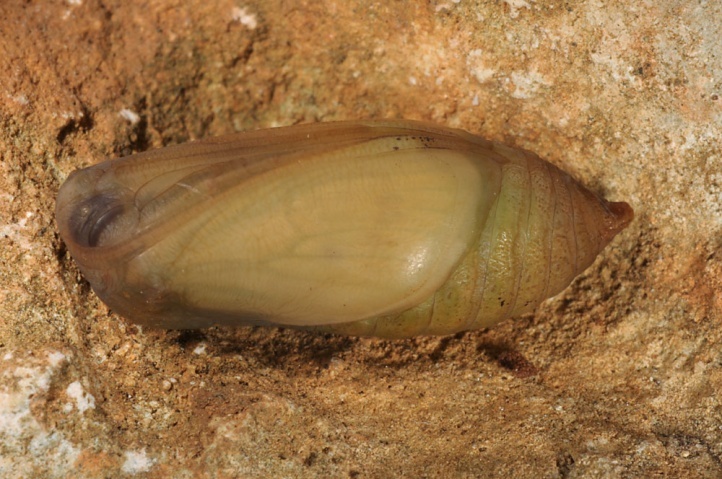 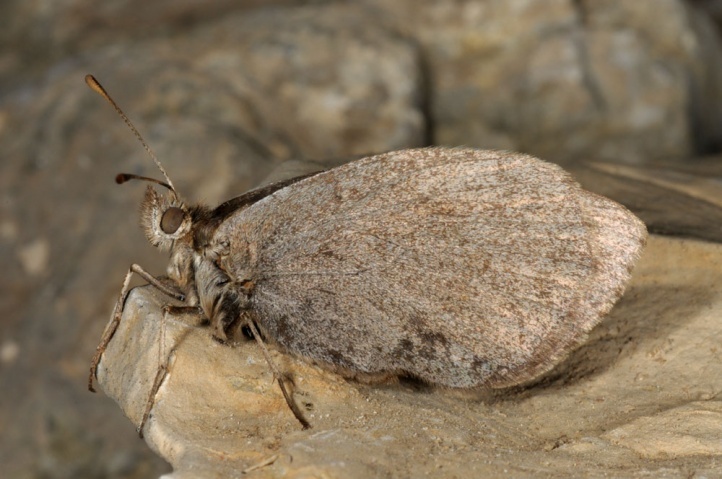 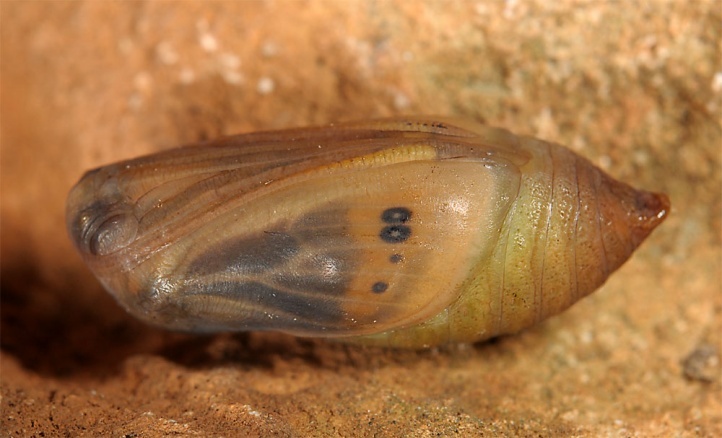 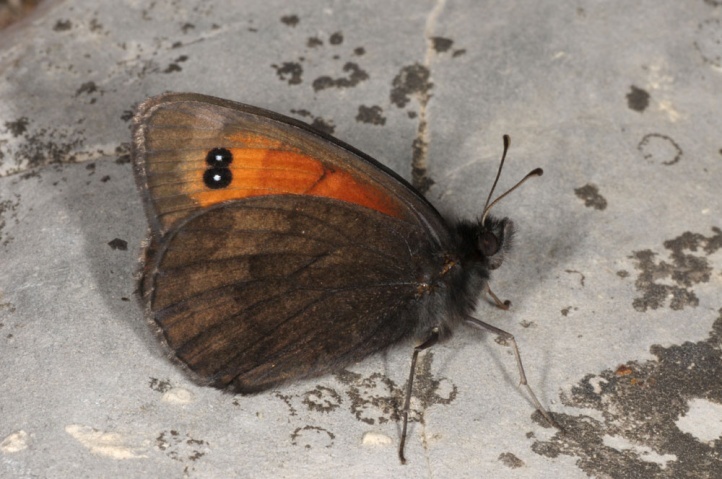 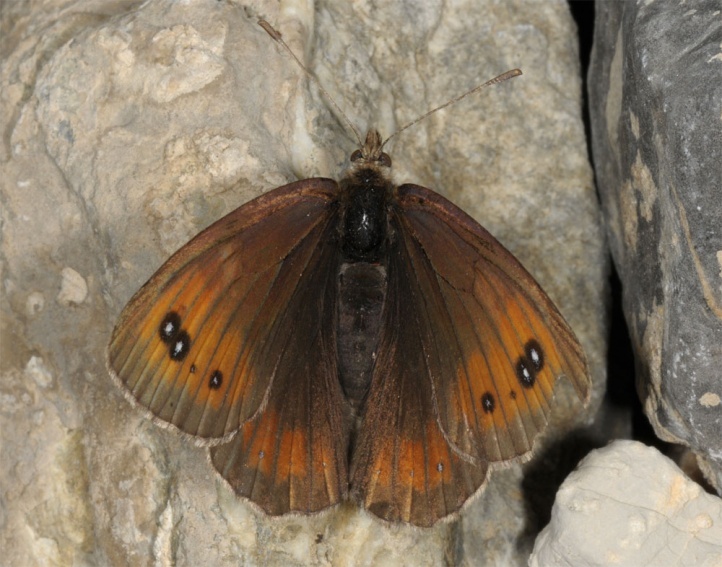 Erebia scipio is endemic to the Southwestern Alps and largely confined to south-eastern France. 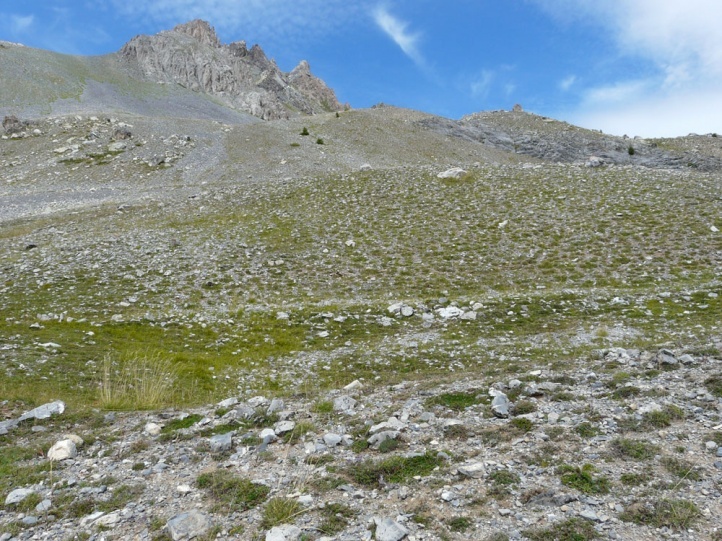 Very few occurrences are known from the adjacent Italian side.